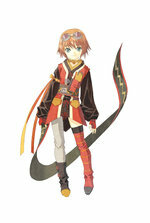 The Tales games form a long running series of role playing games that began with Tales of Phantasia in 1995 on the PlayStation and Super Nintendo. 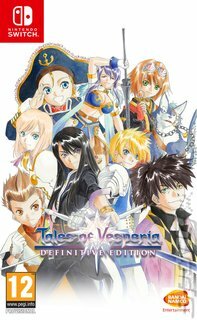 Since then there have been a further eight titles, and Tales of Vesperia: Definitive Edition joins the series as a reworking the tenth game, which many people believe to be one of the series high points. 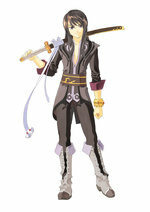 The Tales games concentrate more on the combat aspect of role playing, and Tales of Vesperia: Definitive Edition features the Linear Motion Battle System. 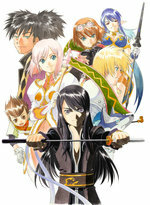 Unlike many RPGs which feature random battles, which many fans find frustrating, Vesperia puts the player in control of one of their party members while the other three are handled by the AI. Players can chop and change between the four characters, performing both physical and Mystic Artes attacks. Because combat is in real time, rather than turn-based, battles are less about strategy and more about knowing your fighter's moves, and using combos and special attacks effectively. Characters level up as the game progresses, of course, and staying aware of their new skills is vital to continuing success. With up to four members in your party at any one time, that gives users plenty to concentrate on, but you can pre-configure your party's strategy before battle commences. Tales of Vesperia features new characters designed by renowned manga artist Kosuke Fujishima, who is famous for the series Ah! My Goddess, and the soundtrack and sound effects are both superb, adding to the realism of the game. This Definitive Edition throws two new fully playable party members into the mix: Patty Fleur, a young pirate searching for her lost memories as well as Yuri's rival best friend, Flynn Scifo. Throw in additional scenarios and locations that are new to players in the West and there are plenty of reasons for fans to experience Tales of Vesperia on this generation of consoles for the first time!